The Rio Grande is disappearing. Demand for water is growing as snow packs shrink, rain patterns shift and average temperatures rise faster than they ever have in the past 11,000 years. What remains is hoarded and fought over by the countries and states that agreed to share the river but have no commitments to leave any water in it. Further, a border fence and boats patrolling with machineguns gives the area the appearance of a war zone. Although it is mostly undeserved, the river’s reputation as dirty and dangerous is rampant and it drives people away. To understand what impact this has on the people and places that depend on the river, Colin McDonald spent seven months following the Rio Grande. 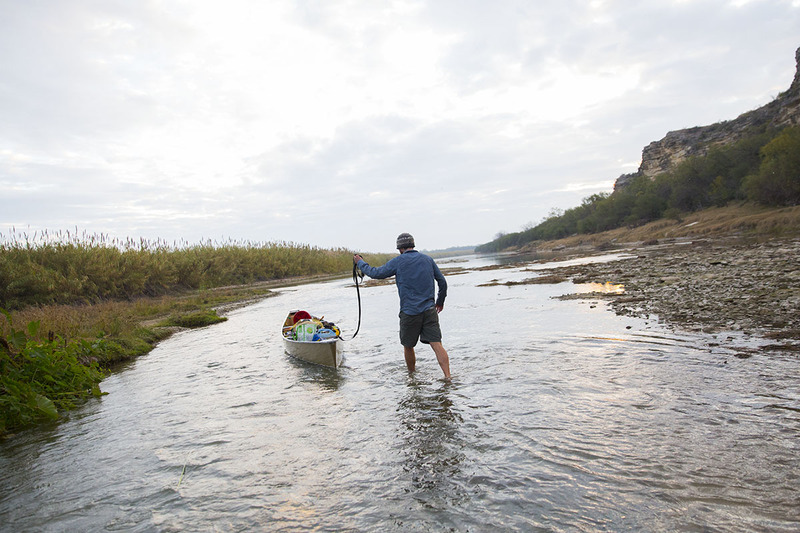 He traveled 1,900 miles from source to sea by foot, kayak, canoe and raft. He started from a rocky ridge at 13,000 feet in the San Juan Mountains of Southern Colorado on June 21, 2014. He ended at sand dunes along the Gulf Coast on Jan. 23, 2015. Along the way, he interviewed everyone he could with a stake in the future of the river. With the help of photographers who came to capture the beauty, emotion and drama of the river, the following blog posts were composed and uploaded mostly from the banks of the river. Each entry was edited and prepared for publication by the project editor, Jessi Loerch, who often worked past midnight to get the posts ready for readers. They are posted here to serve as a resource for anyone who would like to know about the state of the Rio Grande in 2014 and maybe indulge in some virtual travel down a river that few ever see.